Sometimes we require a small change inside our house to make things look fresh again, for that one of the most important place we could start with is the kitchen. It is one of the most visited room of the house normally, so it is crucial that it remains well maintained at all times. The changes you do inside the kitchen can make a great impact in the overall appearance of the house. 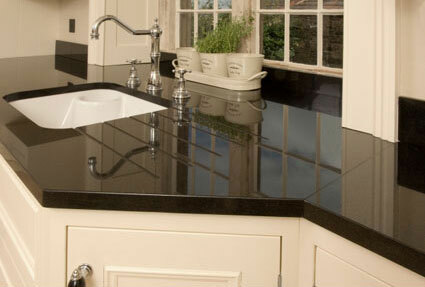 Kitchen renovation ideas such as changing the tiles is not particularly the best option if you are on a tight budget. Instead, there are many other creative ways to renovate your kitchen while staying in your budget. If you do not have any experience of kitchen renovation then it can get difficult on where to start. Most articles you see on the internet on kitchen renovations suggest ideas which require a ton of money. So if you are looking to make some changes on a tight budget then here are some tips to transform you should keep in mind to renovate your kitchen and make things fresh again. Small changes can always go a long way. Rather than spending a big sum of money on cheap kitchen renovations you could always start by making small changes. Handles, taps and other fixtures inside the kitchen can play a major role in its overall appearance. If they catch rust or become worn out then they can quickly take away the appeal of the kitchen, which is why before moving on to bigger things focus on them first. If you have been using the same taps from a long time then you might want to take the first step for renovation by changing them. The lighting of a room can make a great difference in transforming it. Regardless of how much you renovate a place if it does not have proper lighting then it would not look as appealing. Which is why by having the perfect lighting inside your kitchen at the right places you could set a mood. You could always go for dim lighting instead of it being too bright. Dim lights at times can also feel wonderful to work in so that is also a plus point of them. One of the most crucial part of the kitchen are its cabinets. It is important to ensure that they are not worn-out. Keeping your kitchen well-organized can play a major role in its appearance. You can always find cheap kitchen cabinets if the ones you are using currently are worn out to ensure that everything in the kitchen remains well-organized and neat. Paying attention to small details can make a major difference. It is not always about spending a great sum of money but about how creative you can be, so keep these tips in mind and transform your kitchens North Brisbane while staying in your budget. Previous Post:Why Has Styling Become Easy?